Add Printer Dialog is frozen, can not add a new Printer in system-config-printer. 3. Klick the Printer Name in the Devices list. 4. Now Window "New Printer" is frozen. On a new installation of Ubuntu 14.04 (32 Bit) is it working. 1. Start GNOME 3 Desktop. 2. 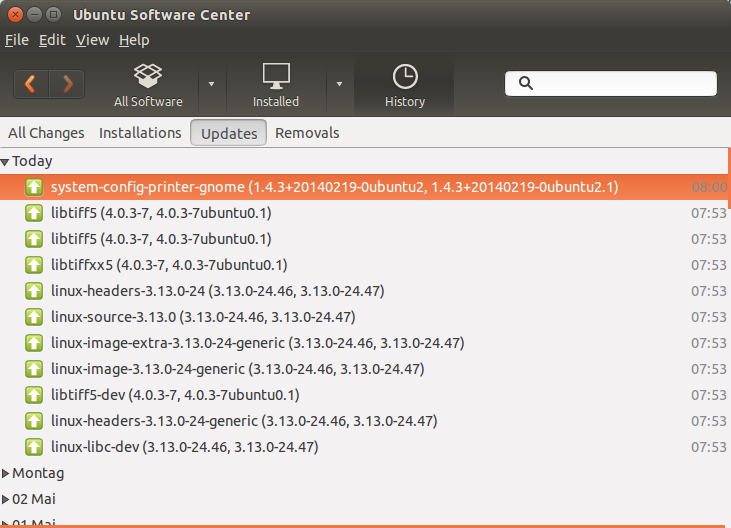 Add Printer in gnome-control-center. 3. Go back to Unity Desktop. For certain non-HP printer models it is impossible to set up the printer with system-config-printer. hangs (does not exit, requies Ctrl+C to get back to the prompt). Set up as described above under "Steps". Current version of system-config-printer freezes, the proposed fix allows setting up the printer. Very low. It is possible that a printer does not provide make/model info and there hp-makeuri gets called anyway. There is no "Unity add printer dialog". Where exactly did you click on "Add printer"? go the steps until getting the frozen dialog, the press Ctrl+C in the terminal window (or run "xkill" in a new tab of the terminal window and click the frozen dialog). After that attach log.txt to this bug report. I did make the steps untill the frozen Window. EPSON61D4D8 is the host name of your printer. Its IP is 192.168.0.105. Does this command exit? Or do you need to stop it with Ctrl+C? Can you post the output of this command? yes i can exit the command without Ctrl-C to stop. In the hp-makeuri.log is the output. Firefox can't find the server at www.epson61d4d8.com. Please post the output of all these commands here and tell me also whether you always get back to the command prompt automatically or whether you have to stop a command with Ctrl+C. So we need to assure that hp-makeuri is not called on non-HP printers because it can hang on some. there is no command prompt automatically. I have uploaded a system-config-printer package with a fix now. Please try it as soon as you get it with the updates (version is 1.4.3+20140219-0ubuntu3) and tell whether it solves your problem. After that close all windows of system-config-printer, start it again and try set up your printer again. Does it work now? Many Thanks for your quick help, i could install the patch. Yahoo, the frozen Window is gone. Adding Printer in system-config-printer is now working again. Uploaded a proposed fix to trusty-proposed. As soon as this package gets approved instructions will be posted here how to install it. Please install it and test whether it fixes the problem. Your feadback is required for the fixed package to get an official update. Accepted system-config-printer into trusty-proposed. The package will build now and be available at http://launchpad.net/ubuntu/+source/system-config-printer/1.4.3+20140219-0ubuntu2.1 in a few hours, and then in the -proposed repository. 1. update -proposed packade "system-config-printer 1.4.3+20140219-0ubuntu2.1"
4. Klick the Printer Name in the Devices (EPSON Epson Stylus Office BX630FW) list. 5. Kick Forwaard to add the Printer. The verification of the Stable Release Update for system-config-printer has completed successfully and the package has now been released to -updates. Subsequently, the Ubuntu Stable Release Updates Team is being unsubscribed and will not receive messages about this bug report. In the event that you encounter a regression using the package from -updates please report a new bug using ubuntu-bug and tag the bug report regression-update so we can easily find any regresssions.